Dentures provide quick and convenient solutions to missing teeth problems, since surgery is not needed for the creation and placement of these removable prosthetic teeth. One can enjoy the use of dentures without having to undergo surgical procedures, apart from teeth extraction. The passage of time, however, takes its toll on dentures and their efficiency. As time goes by, dentures have the tendency to become loose because gums and the supporting jaw bone have the tendency to change shape or shift when teeth have been missing for a long period of time. Loose denture problems cause discomfort for the wearer, since the dentures can rub painfully against the gums, and the soft tissues inside the mouth. Loose dentures can also cause embarrassment, since they have the tendency to move uncontrollably with every mouth movement. The use of dentures can be improved with dental implants, which can be used to secure the dentures firmly in place. Mini dental implants can be placed onto a denture wearer’s jaw bone, and the dentures can then be attached to these implants to ensure that they stay firmly in place. 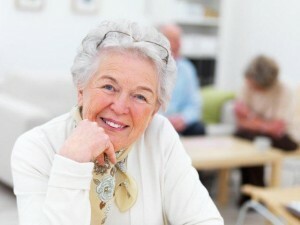 Loose denture problems are then eliminated, thereby improving the overall use of the dentures. Implant-supported dentures provide better missing teeth solutions compared to dentures that are used without any type of support. With dentures that are supported by dental implants, the patient can enjoy the use of missing teeth replacements even more – and will be able to lead a better quality of life in the process.